Political snooping in India - How Indira Gandhi and Rajiv Gandhi snooped in the past? Now Congress is levelling charges against Modi for snooping a girl at Gujarat. Though the Union Cabinet passed a resolution long back to appoint a judicial commission, till date the Congress Government has not appointed any judge to head the commission. 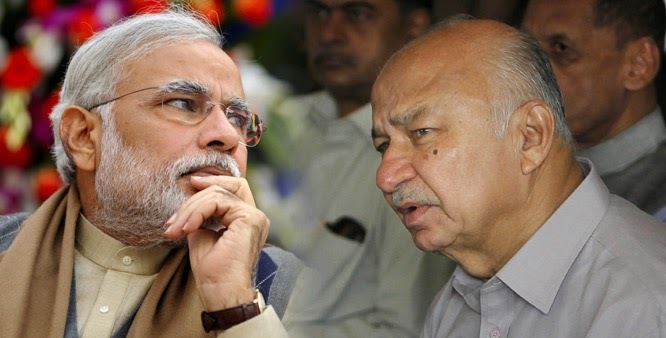 Now Shinde has been making announcements that he would appoint a judge before the announcement of results. The alliance parties of Congress NC and NCP have objected to the hurry of the Government. Many political analysts suspect the motive of the Congress Government to hype the so called snooping by Modi Government. As I am writing this article, I get the news that the Government has deferred the appointment of Judge and leave it to the next Government, under pressure from the allies. Interestingly, in the past, Indira Gandhi and Rajiv Gandhi have snooped Menaka Gandhi, Zail Singh and P V Narasimha Rao. Even recently, under UPA II, news came about how the then Home Minister Chidambaram was snooping Pranab Mukherjee, before he became the President. India Today has carried a story on the political snooping. Former Intelligence Bureau (IB) joint director Maloy Krishna Dhar, in his book Open Secrets: India's Intelligence Unveiled, has revealed several instances when the intelligence agency bugged the homes and offices of top politicians. Around 1980, as Indira Gandhi planned to make an electoral comeback, the IB bugged the phones of the former prime minister and several of her aides, including R.K. Dhawan, allegedly on the orders of the government. It had planted discreet watchers around Indira's 12, Willingdon Crescent home. Dhawan's parental home at Atul Grove Lane was under blanket intelligence coverage as was his Golf Links house. The IB was ordered to carry out a "silent Watergate-type nocturnal break-in" into the offices of Surya, a glossy magazine run by Maneka Gandhi, to retrieve the original manuscript of SHE - the censored chapter of Indira aide M.O. Mathai's autobiography that was said to have "scurrilous" details of the rumoured relationship between the two. Maneka was said to be circulating the document among IAS officers as a tool to defame her estranged mother-in-law. Dhar says in his book that he, along with his deputy K.M. Singh, broke into Surya's offices late in the night and managed to recover the manuscript. Dhar was asked to covertly record the conversation that took place during a meeting between then Union home minister Zail Singh and an emissary of Sikh priest-turned-extremist Jarnail Singh Bhindranwale at the Bangla Sahib Gurdwara in Delhi. The meeting between Zail Singh and the emissary was said to have "produced tonnes of vital intelligence on the developing imbroglio in Punjab". The orders came from someone close to Indira Gandhi. In his book, Dhar claims he "stumbled upon another techInt (technical intelligence) operational coup rather accidentally" when he was asked to sweep then prime minister P.V. Narasimha Rao's office with bug-detecting devices in January 1992. Dhar tumbled upon a forgotten micro-recording monitoring machine, implanted inside the phone of an aide to the PM by the IB during V.P. Singh's rule. "The end products, I understand, were delivered to Rajiv Gandhi even when Chandrashekhar warmed the seat for the former. In the melee of fast political and bureaucratic changes, someone had forgotten to remove the spy contraption from the PMO," says Dhar.